We all know that for the most part, our health and well-being depend on the quantity and the quality of the water we drink. That is why people are getting more and more cautious with the type of water they consume, and more and more filtration systems are being sold on the market, especially water filter pitchers; they filtrate chlorine, aluminium, lead and part of the Calcium. However, they still leave small polluting particles. 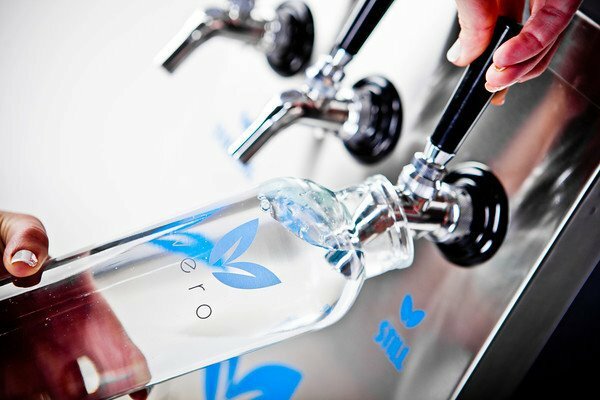 For 100% purified water, our Vero water bottling system is what you need. Installed directly from your existing water source, the Vero filtration system efficiently removes contaminating particles leaving behind a light, clean and refreshing taste enjoyed by all. Not only does Vero Water provides you with a clean water, but also great tasting still and sparkling water that are completely harmless for your health. Vero Water is the market’s leader in providing bottled water system; it has become synonymous with quality, and as water is essential to life, the quality of the water you consume determines your quality of life.